digging cracks in highway bones. the journey we all take. the only sign that she has passed. 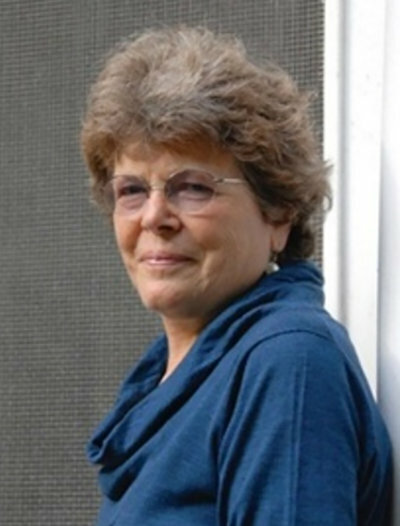 Phyllis Beck Katz’s poems have been published in The Salon, 2010, Connecticut River Review, The Mountain Troubadour, Bloodroot Literary Magazine, 2010, 2011, 2012, and Birchsong, 2012, and Oberon, 2014. She was awarded the Oberon Poetry Prize in 2014 for her poem “Emily Dickinson’s Gorgeous Nothings”, and second prize in the Poets and Music contest the Sunapee Center for the Arts in 2015 for “Reflections on Fauré’s Requiem.” Her first book, All Roads Go Where They Will, was published by Antrim House Books in December 2010. Her second book, Migrations, also by Antrim House, appeared in November 2013. She has a PhD in Classics from Columbia University, 1969, and has recently taught Classics, Women’s and Gender Studies, and ancient and modern poetry in the Master of Arts in Liberal Studies at Dartmouth College. She is now retired. In December 2016, almost a year after her husband died, she moved from Norwich, Vermont to Northampton, Massachusetts.